For several decades now, scientists from around the world have been pursuing a ridiculously ambitious goal: They hope to develop a nuclear fusion reactor that would generate energy in the same manner as the sun and other stars, but down here on Earth. Incorporated into terrestrial power plants, this "star in a jar" technology would essentially provide Earth with limitless clean energy, forever. And according to new reports out of Europe this week, we just took another big step toward making it happen. 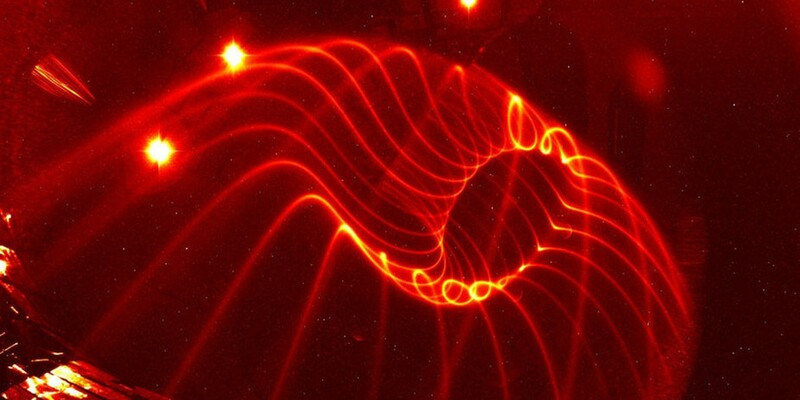 In a study published in the latest edition of the journal Nature Communications, researchers confirmed that Germany's Wendelstein 7-X (W7-X) fusion energy device is on track and working as planned. The space-age system, known as a stellerator, generated its first batch of hydrogen plasma when it was first fired up earlier this year. The new tests basically give scientists the green light to proceed to the next stage of the process. It works like this: Unlike a traditional fission reactor, which splits atoms of heavy elements to generate energy, a fusion reactor works by fusing the nuclei of lighter atoms into heavier atoms. The process releases massive amounts of energy and produces no radioactive waste. The "fuel" used in a fusion reactor is simple hydrogen, which can be extracted from water.